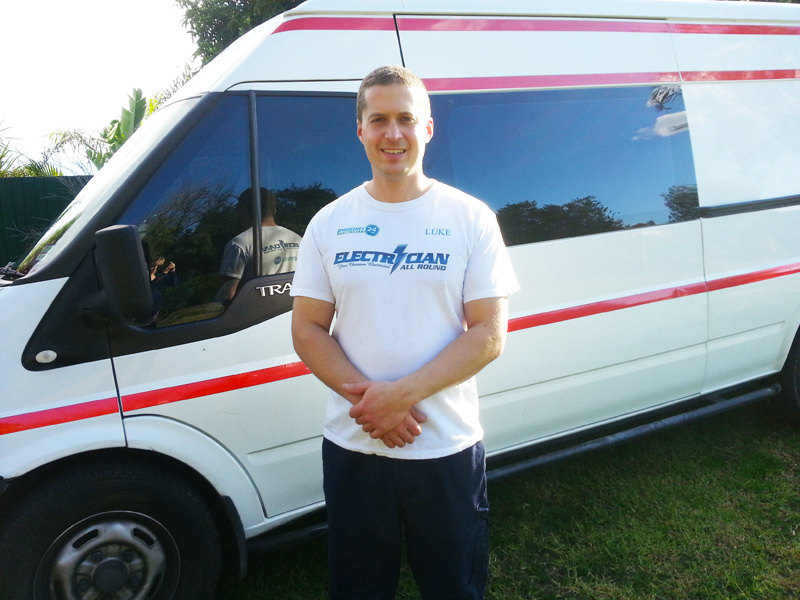 Electrician All Round is run and owned by Luke who is experienced in domestic, commercial and industrial electrical installations. By being local to you, I am able to provide a quality and cost effective service for all your electrical needs. Luke is highly skilled and experienced in Domestic, Commercial and Industrial Electrical Installations, fully qualified, insured, licensed A-Grade electrician, registered with Energy Safe Victoria, AUSTEL, ETREC, over 10 Years electrical experience in emergency and same-day works. Up to date police check, does not smoke, does not drink alcohol, and does not use foul language. Each year, defective wiring or appliances cause many injuries and even deaths. If you hear a crackling noise coming from any part of your electrical points, or your lights and power go on and off without you touching anything, call me immediately as this could indicate an electrical fire is imminent. There are also many injuries and deaths caused by faulty electrical installations. Recent surveys show that many homes are in need some kind of electrical repair. Older houses are especially at risk. It is important that home wiring installations are checked every 10 years. Increasing legislation is being enforced to try and prevent a number of accidents and deaths from faulty installations and repairs. You should where possible use an electrician competent to current standards, to carry out most electrical work. You are not only risking penalties, but also your life. The message is simple: DON’T Do-it-Yourself! Is your wiring more than 15 years old? Has it been longer than ten years since the wiring was checked? Has electrical work been carried out by amateurs and never checked? Do your plugs or sockets get hot? Do your fuses blow regularly and for no obvious reason? Do your lights use the old, twisted type flex? Do you often have to use extension cables? Replace old, dangerous fuseboxes with the latest generation, which are safer and easier to use. These have circuit breakers to protect every circuit in the house and respond quickly to prevent the risk of danger. They can be fitted in the most convenient position for you and have extra protection through the use of an RCD ( Safety Switches ). Outdoor electricity is just as important as indoor and can be equally as hazardous. Avoid trailing wires through windows and open doors by having weatherproof and dustproof outdoor switches and sockets fitted outside your home and in your garden. Install smoke detectors, and forget about changing those batteries for years, this gives peace of mind that your household is protected. View more Electrician All Round’s client testimonials here. 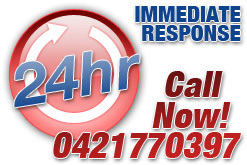 For emergencies or after hours I service ANY suburb ANYWHERE 24 hours, 7 days a week. Call me NOW and I will come NOW, no matter what time or day. Can't take time off work? Don't want to hang around all day for an electrician? Call me anytime and I can come to you after hours.